We offer elegant draping with the most stunning ivory or white chiffon, depending on your taste. 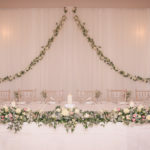 We can simply drape behind your ceremony or top table, or your whole reception room. 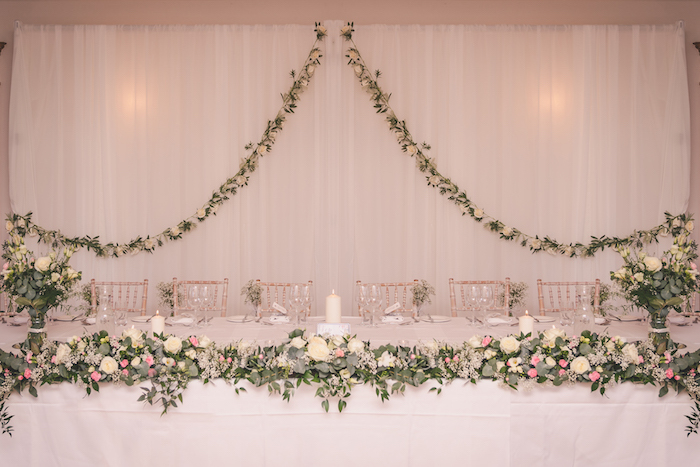 Draping ranges between £200-£550 depending on your requirements and venue – we have worked at many venues and different room shapes, so please get in touch to discuss the right draping and price for you. 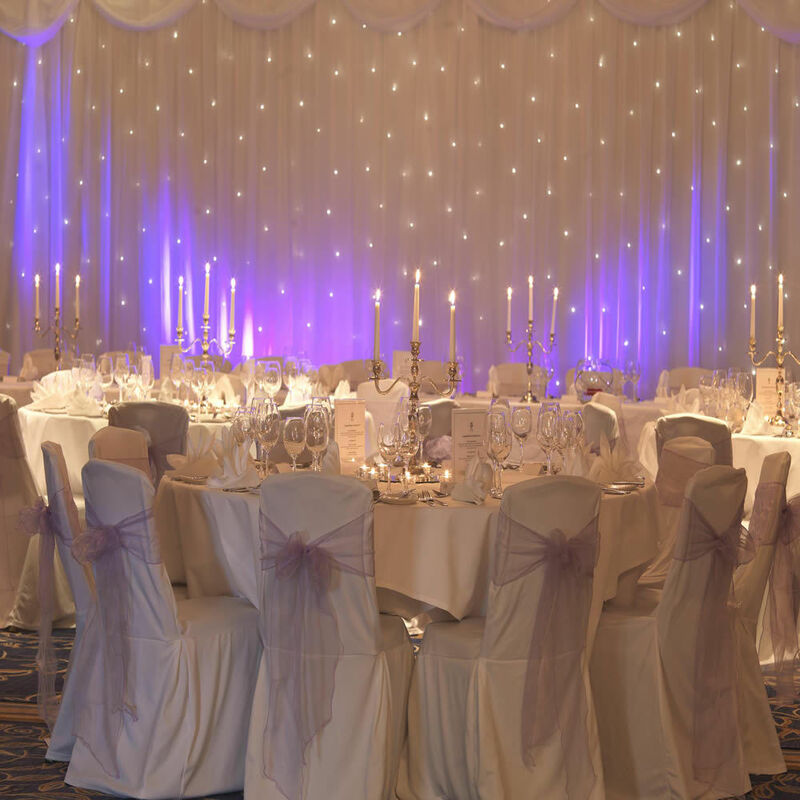 We also have a 20ft x 10ft white LED backdrop starlight curtain, which is a perfect backdrop to any wedding top table or stand alone by the dancefloor. It is beautifully graceful, and gives the ultimate fairy tale look! 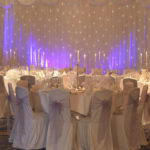 The fairy lights are built into the fabric with a white voile overlay and can come with optional swags at no extra cost. 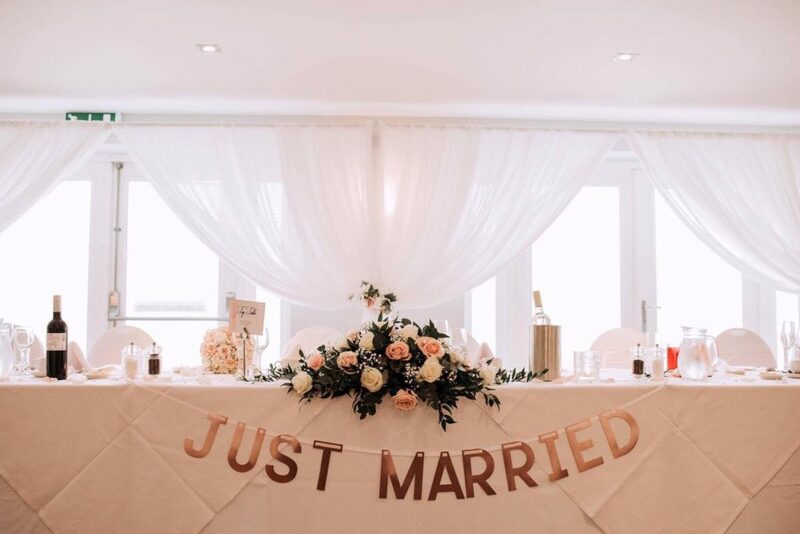 Book now for £180 on it’s own or book with our LOVE letters for a special package price – just get in touch for more details.